OMAHA, NE/USA (Aug. 24, 2015) – The Blues Society of Omaha (BSO), a non-profit organization, will host the 5th Annual Nebraska Blues Challenge beginning Sunday, September 13, 2015. The Nebraska Blues Challenge will send the winning band to compete at the 32nd International Blues Challenge (IBC) in Memphis, TN January 26-30, 2016 (www.blues.org). Cash prizes, studio recording time and other prizes will be given to the top three finalists as well. Three preliminary showcase events will be held; September 13, September 20, and September 27 with the band receiving the most points in each round advancing to the finals. The finals will take place Sunday, October 4. All rounds will be hosted by the 21st Saloon in Omaha, 4727 S. 96th Street. The BSO invites all live music fans to attend in support of this celebration of Nebraska blues music and our amazingly talented musicians from the area. There will be a $5.00 cover charge at each event to assist BSO with their expenses. Competing in the IBCs in Memphis can be a stepping stone for musicians serious about a professional career. 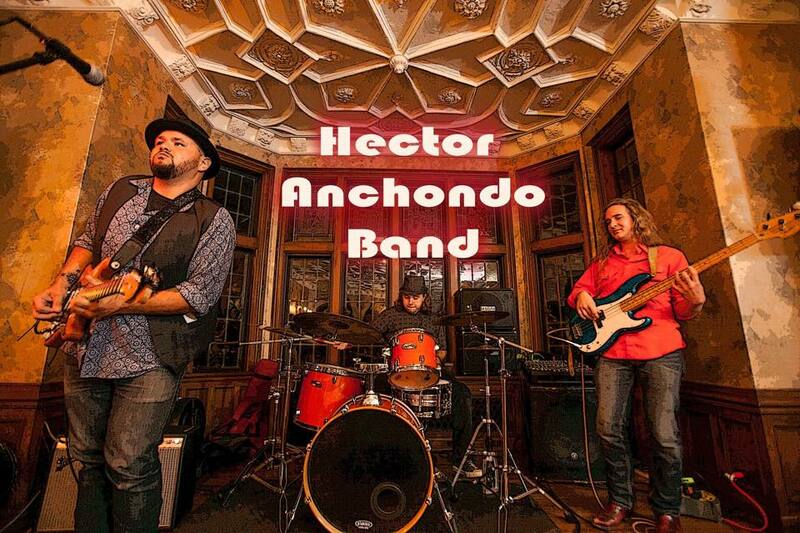 Last year’s Nebraska Blues Challenge winners, The Hector Anchondo Band, traveled to Memphis in January where they proudly represented Nebraska at the 2015 International Blues Challenge and advanced to the semi-finals. They have since landed a booking agent from their exposure at the IBCs and their song, “Shake Me Shake Me,” is on the Keeping The Blues Alive Volume Nine compilation created by Mary4Music. Josh Hoyer and the Shadowboxers won the NBC in 2014 and created a buzz in Memphis during their IBC performances. Josh Hoyer’s renamed band, Josh Hoyer & Soul Colossal, has just recorded a live CD in Nashville and is working hard on the national touring circuit. Their second album spent 30+ straight weeks in the top ten of RMR Charts for Soul and R&B. Levi William and his band represented Nebraska at the IBC’s in 2013. The first-ever Nebraska Blues Challenge in 2011 sent the Lil’ Slim Blues Band to the IBCs in 2012, where they advanced into the semi-finals. First and second year winners Shawn Holt and Levi William now tour and perform together internationally as part of Shawn Holt & The Teardrops, who received the Blues Music Award for Best New Artist in 2014. The IBC has evolved into the nation’s biggest and most respected showcase for Blues musicians ready to take their act to the national stage. The IBC is a judged “Battle of the Bands” in which competitors take the stage and play a short set for a panel of judges. The acts are judged based on an established set of criteria. The Nebraska Blues Challenge will follow a similar criteria. Artists competing in Memphis perform in front of blues labels, promoters, booking agents, publicists and journalists. They also have the opportunity to network with other artists and professionals. The list of current blues artists that have competed in the IBCs over the years is impressive indeed: Eddie Cotton, Selwyn Birchwood, Davina & The Vagabonds, Barbara Blue, Fiona Boyes, Eden Brent, the late Michael Burks, Sean Carney, Albert Castiglia, Tommy Castro, Grady Champion, the late Sean Costello, Albert Cummings, Delta Moon, Larry Garner, Joey Gilmore, Diunna Greenleaf, Zac Harmon, Homemade Jamz Blues Band, Richard Johnston, Robin Rogers, Matthew Skoller, JP Soars, Super Chikan, Susan Tedeschi, Teeny Tucker, Trampled Under Foot and Watermelon Slim. The Blues Society of Omaha is an all volunteer non-profit organization that was formed in 1998. Their mission of “Keeping the Blues Alive” can be seen through their efforts in supporting blues music, musicians, venues, festivals and special events such as the Nebraska Blues Challenge. They are recognized by artists and industry leaders as one of the most active and enthusiastic blues societies in the country. Their decision to participate in the International Blues Challenge underlines their focus on showcasing Nebraska’s amazing musicians, creating a broader recognition of this talent and supporting the blues music genre at both the local and national levels. More information on the BSO can be found at www.omahablues.com, including how to support their mission on an individual or corporate level. Complete details on the International Blues Challenge 2016 can be found by visiting www.blues.org/ . Walter Trout received a life-saving liver transplant on Memorial Day 2014 at the Lied Transplant Center, at Nebraska Medicine. One organ donor can potentially save 8 lives and help another 50 people. We want to help spread the word about the importance of organ donation. Join Us for Happy Hour from 4pm to 7pm and then again from 10pm to Midnight.